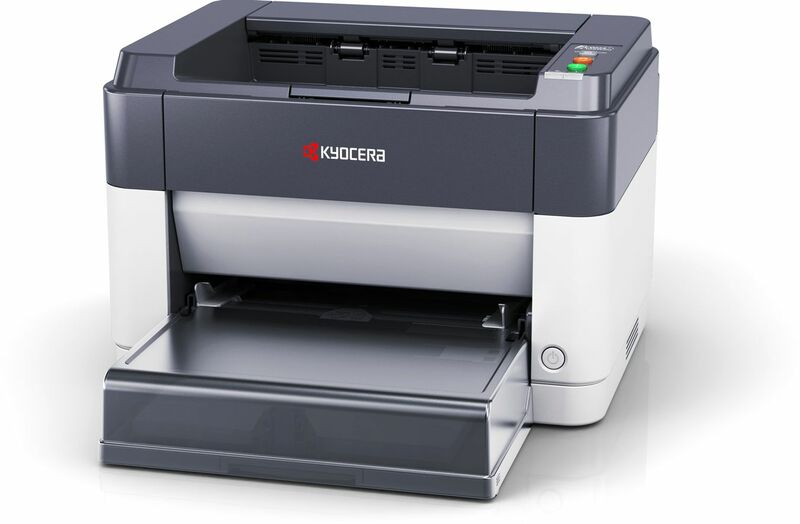 As mono laser printers go, they don't get much better than these highly respected workhorses from Kyocera. They print at up to 25 pages per minute and have low-noise printing with quiet-mode function as well as exceptionally low running costs. 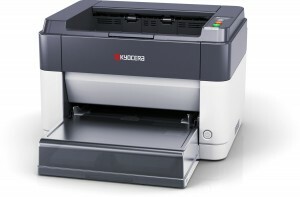 Compact, efficient and highly economical, Kyocera's FS series printers are the ideal desktop printer for a single PC or small workgroup. Fast and quiet, they print the first page in under ten seconds after sending the job. 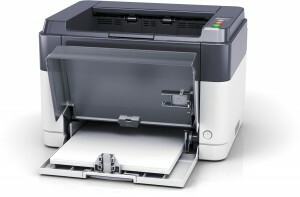 In addition to having low-noise printing as standard, their "quiet mode" reduces noise further. 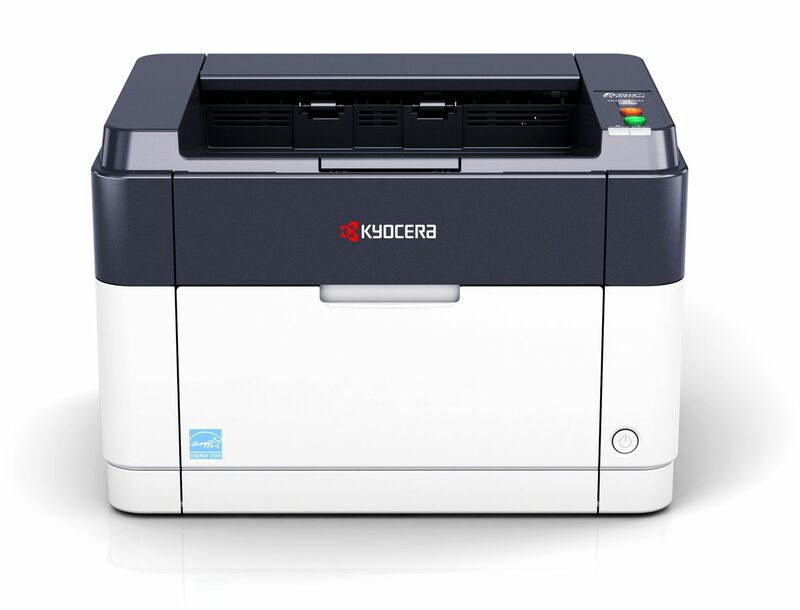 With Kyocera’s hard-wearing components, the FS-1041 and FS-1061DN are the robust, reliable and hassle-free printers you can rely on. 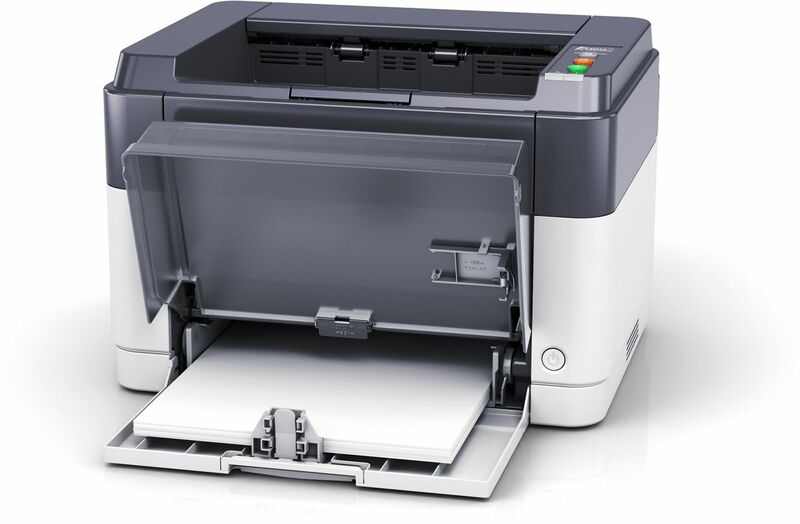 The entry level FS-1041 offers incredible value for money, a very compact footprint and exceptionally low printing costs. 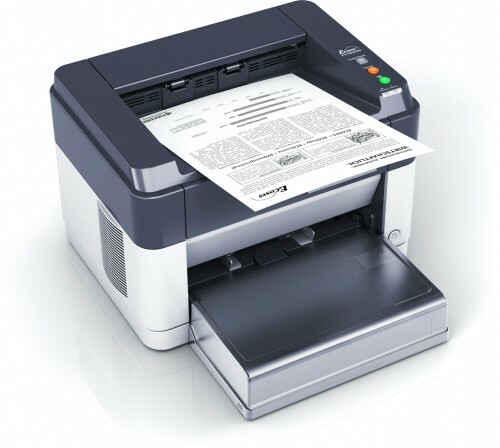 For customers with more advanced needs, the FS-1061DN offers the possibility of automatic dual-sided printing plus network connection so the printer can be shared amongst several devices without the host PC needing to be switched on. 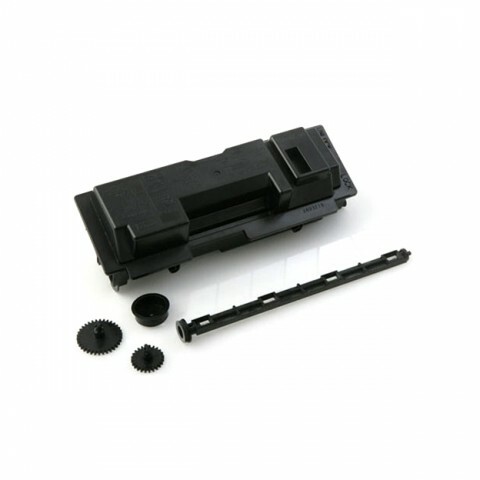 In addition, although it's 14mm deeper, the DN model offers a 25% improvement in printing speed and a single-sheet manual feed slot. ECOSYS stands for ECOlogy, ECOnomy and SYStem-printing. With their long-life components, ECOSYS devices are designed to maximise durability and minimise the total cost of ownership with regard to maintenance, administration and consumables. The cartridge-free system means that only the toner has to be replaced regularly. 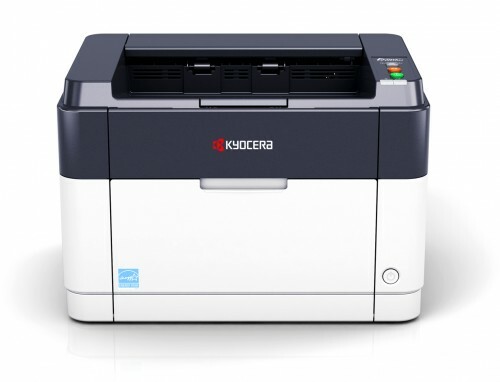 KYOCERA’s long-life components cost you and the environment less. At the heart of Ecosys technology is the amorphous silicon (aSi) drum for mid- to high-end systems and the long-life, single-layer PSLP drum for entry level printers and multifunctionals. These are much more durable than the organic photo-conductor (OPC) drums utilised in conventional products, lasting typically 30 times longer. As a result, it is unnecessary to replace it every time the toner runs out and this innovation allows other items which would normally be part of the consumable cartridge to be permanently sited in the machine too. As a result, the consumable cartridge is simplified as shown by the following images. 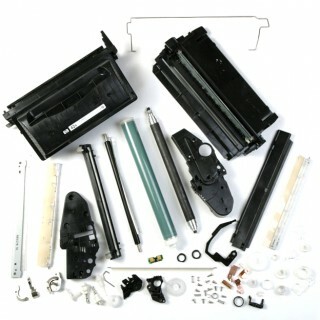 Conventional toner cartridge contains over 60 metal, plastic and foam components. 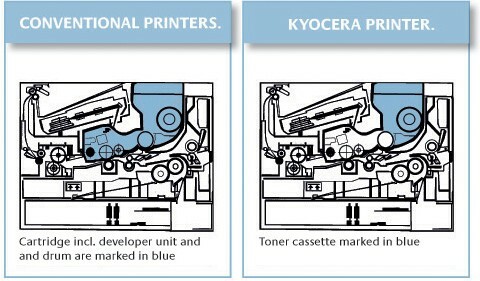 KYOCERA toner cassette contains 5 pieces made out of 2 types of plastic, ID coded for easy recycling. Toner Cartridges: What are you really throwing away?